Last week, Moldovans celebrated one of my favorite holidays, which is called Marțişor (pronounced mar-tsee-shore). This holiday is celebrated every year on March 1st and is an ancient tradition that celebrates the coming of spring. 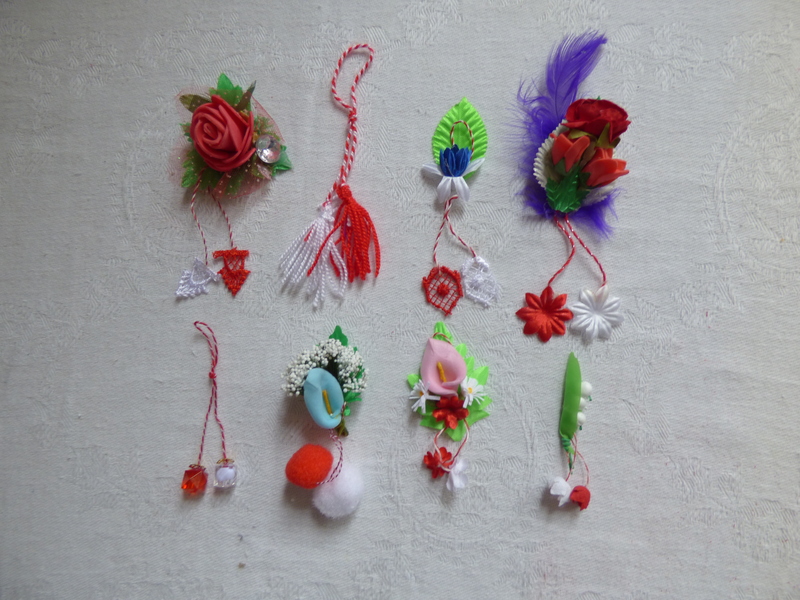 In ancient times, the marțişor (amulets) were created using small pebbles painted white and red and arranged on a string. 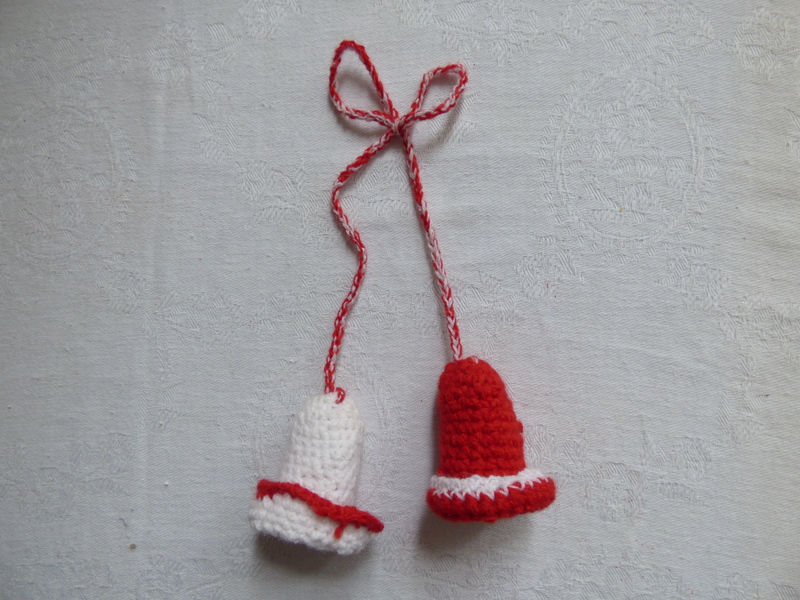 The colors red and white came from pagan traditions. 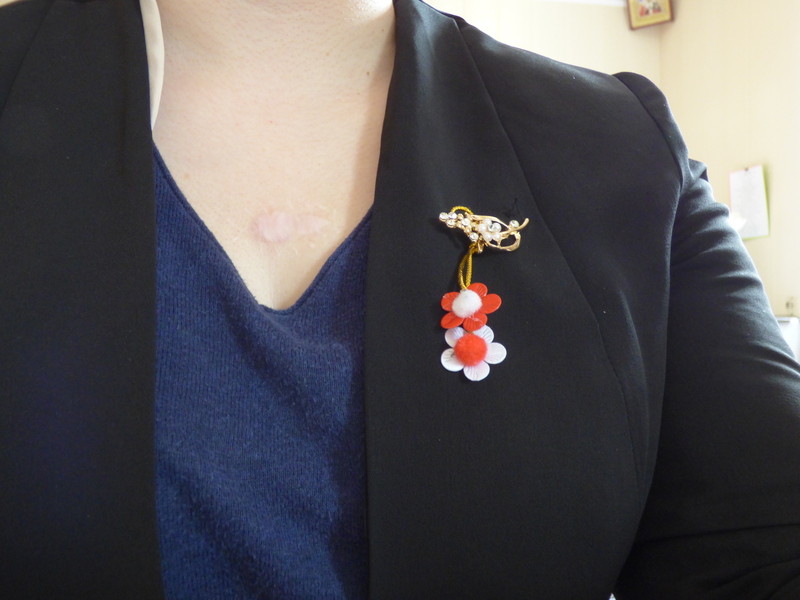 Blood, or the red on the marțişor, symbolized life, fertility, and worship. White symbolized snow, ice, and clouds. Today, Marțişor is celebrated in all Romanian regions (Romania and Moldova), as well as Macedonia and Albania. In Moldova, it is a symbol of spring and joy. By exchanging them, people are showing a gesture of love, friendship, respect, and appreciation. They are worn on the left side on their chests starting on March 1st and throughout the month. After removing them, they are hung on a tree to bring a good harvest. At school, each teacher is given marțişori from students, and outside of school, they are also exchanged among adults and children. Some of the marțişor are handmade, while others are purchased. 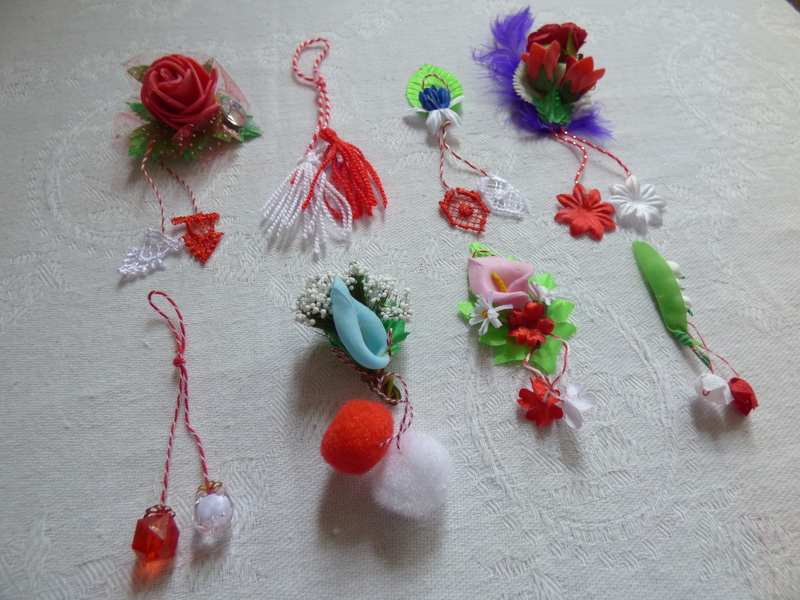 I received a few marțişor from students, as well as my host parents. My host dad also gave me a larger marțişor that is meant to hang on the wall and which was hand-crocheted by a woman in our village. It’s a beautiful tradition and one that I think I may bring back with me to the United States. Happy Marțişor!